Save 10% on All Samsung Repairs! FixMyPod is Kingston's ONLY Samsung Authorized Repair Centre! 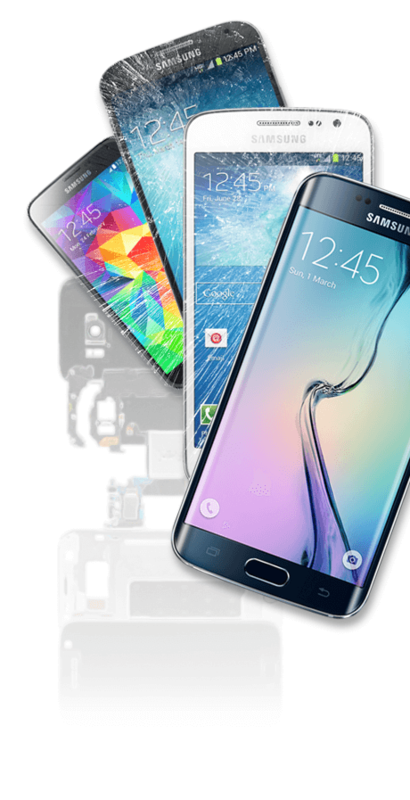 All our repairs on Samsung devices use genuine Samsung parts and will restore your manufacturer's warranty! FixMyPod will ALWAYS have the lowest prices in town for Samsung repairs since we deal directly with Samsung and not a third-party supplier! After 9 years of service to the Kingston community, we have decided to take the next step in our goal of providing fast, high quality and affordable cellphone, tablet and laptop repair by joining the fastest growing North American cellphone repair franchise, UBREAKIFIX! What does this mean? FixMyPod will not only be moving to a new easier to access location in the Norwest Plaza in Kingston, but we will also be providing you with EVEN MORE services as well as direct partnerships with EVEN MORE manufacturers. The same expertise and professional service you've come to expect from FixMyPod will be magnified with the supply chain support and worldwide warranties of UBREAKIFIX. The whole FixMyPod team is excited to take this step and invite everyone in Kingston to join us on Wednesday, November 28th, for our grand opening in the Norwest Plaza (beside Bulk Barn)! Our Queen's store will continue to provide service to The Queen's and Downtown Kingston communities, as UBREAKIFIX. We look forward to continuing to support the Kingston community with all their cellphone, laptop and tablet repair needs. Every repair we do is backed by a free 6-month warranty that covers parts and labour for damage that is not user related. That’s how confident we are about the premium quality of parts and expert service we provide. Our warranty does not include user breakage, exposure to intense heat/cold, or water damage after the repair. We offer the fastest service in Kingston for smartphone, tablet, and Mac repairs without compromising on quality. We understand that time is highly valuable to you, that’s why we are open 7 days a week and have multiple specialized technicians on hand to complete your repair often within one hour while you wait. Our staff have years of experience who all share a passion for renewing technology. They are trained to repair all makes and models of smartphones, tablets, Mac’s and laptops. We excel in providing the best user experience by only hiring professional, friendly, ethical, and trustworthy repair technicians to work with you to fix your device. We only use the highest quality cell phone parts on the market and use Original Electronics Manufacturer (OEM) parts whenever possible. We want your smartphone, tablet, and Mac running and looking brand new. We ensure every repaired device will last a long time when properly cared for following a repair. Giving our customers the best value for their time and money is part of what makes FixMyPod the leading smartphone, tablet and Mac repair store in Kingston. We strongly believe in providing uncompromising quality and expeditious service at minimal costs to the customer. If your device can’t be fixed or is not worth repairing, you can leave it with us to be recycled in an environmentally friendly way or if your device still has value, we can purchase it from you and upcycle its usable components keeping them out of the landfill. WORKING WITH YOU WHEN YOUR DEVICE WON'T!